Orfevre had 124,000 fans in screaming ecstasy earlier today when the ran away with a big win in his final race, the Arima Kinen, or the GRAND PRIX! It's in Japanese, but you will get the idea of the happiness of the fans at ORFEVRE's retirement ceremony! He had earnings of over $19 million dollars! Crazy! Sunday Silence does it again!!!! Thank you Ann_Maree, he is magnificent! The retirement ceremony gave me chills! What an absolutely gorgeous horse. I got all teared up watching the ceremonious parading in the video and I never even heard of the horse until just now. His proud slow trot, kind of pranced, was magnificent. He was obviously confused by it all, probably wondering why he was being led around in circles in the dark with a too bright light shining on him. The blanket was probably very royal, but he wasn't having any part of that. He had a sweet face and a kind eye, too. Happy to hear and see that he made it safely through his racing career and will now get to be a stud and live his life as a horse. Thanks for posting, Ann_Maree. VA_inCA, I cried too! He is simply stunning and I know the great Sunday is so proud of his grandson carrying on his name in such spectacular style. Amazing horse. 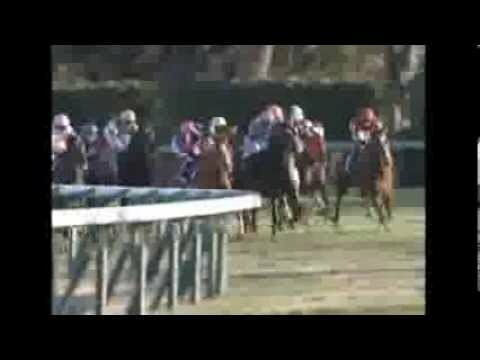 Found out...In 2011 he won the Japanese Triple Crown and was voted Japanese Horse of the Year. It's French for "Goldsmith"...truly a horse worth his weight in "GOLD"
My god, that was beautiful. His last race where Treve beat him, it was because he hit the rail and it knocked him off stride a bit. 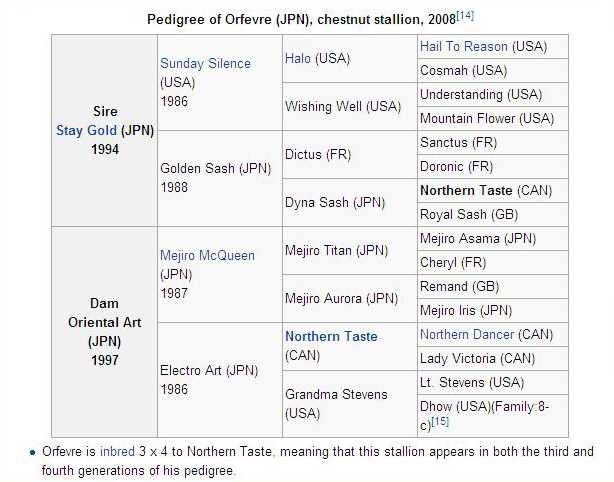 They sure do love their horses, especially the sunday silence line. Keta, why do you post the same thing on 3 different threads? ha ha. I responded to this post on one of the other threads. Forget which one. Sigh. Keta sometime posts things in different threads to make sure everyone gets a chance to see the posts because many of us don't check all the threads. I know I don't check them all so I only saw this post once. She works hard posting all she does. Thanks for everything you do Keta. Keta, I didn't mean my comment as a criticism, just noting a mild annoyance. I once found myself making an inane and stupid comment about something on one thread which no one else had commented on, and then read that it was a very serious situation with lots of good comments in another thread and felt really awful and had to go back and delete the stupid comment from the first thread, and hope no one had read it there. And I don't always remember the name of the thread where I did that. Maybe you could note in the multi-posts that you also reported the notice in such-and-such other threads. Other times I've commented and then realized others were commenting on the same notice but on a different thread. Maybe if you are the only one doing it, Keta, I'll just try to remember to see if it's on another thread first, before commenting. Sorry to be such a jerk. It's annoying because I often make a comment and then instead of hitting "Post Comment" I hit "Back to Discussions" by mistake and then can't remember which thread I was on, and have to search all over because the comment wasn't posted. My senior moments are starting to turn into senior half-hours. lol I can't believe I just did it again!!!!!! Hit Back to Discussions instead of Post Comment. Grrrrrrrrr. Fortunately the comment was still here, auto-saved in the Write Comment box. And I remembered the thread this time. Wow, a lot of Sunday Silence represented!! Yay!! Article includes photo, video, and statistics! Sorry I just read the comments made in January about my posting in multiple Discussions. Louise had it right. There are so many Discussions going right now that I am simply trying to be helpful. Guess I am not. Retirement Discussion since it seemed appropriate to both. Perhaps I should leave the posting and sharing to others since my way apparently isn't the correct way. Keta, As I said back when the comments were made, I only saw the post once in this thread. I don't have time to go to all the threads and had not gone to the two other discussions where you say you posted it. You ABSOLUTELY do everything correct and I think it is a great idea to post something in different threads to make sure everyone sees it. Other people post the same thing in multiple threads and there is nothing wrong with doing that; in fact, in this case I would have missed this post had you only posted in one of the other threads. Please don't leave the posting and sharing to others because most of what you post is not posted by anyone else. I've seen posts, for instance, about Jess's Dream in multiple threads including Rachel Alexandra's thread and it is very appropriate. VA_in_CA apologized above and I know she didn't mean to hurt your feelings. Please keep doing what you are doing. You are one of the hardest working people on the forum and find the most interesting things to post that most of us would NEVER find. Please don't let one or two complaints deter you from what you do best. Seriously! Please don't stop sharing. You are so caring and say all the right things.